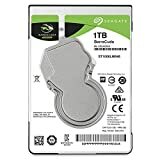 Seagate’s highest capacity thin, 7mm, laptop drives at 1TB and 2TB. 5400rpm. 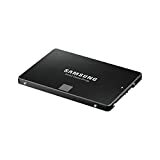 250GB Samsung 850 EVO 2.5-inch SSD with SATA 6Gb/s connection. Lots of enhanced features including V-Nand Technology, TurboWrite and blazing fast speed up to 540MB/sec read and 520MB/sec write speed. AES 256-bit encryption and backed by a 5-year warranty.